I would like to bring to the attention of our community two very stunning pieces of ‘anonymous’ literature that I recently had the pleasure to read. Apart from their remarkable prose, I feel their content may be of interest to those studying the history of fire safety science. The papers, written in 1850, deal with progresses in fire fighting technology, fire chemistry, behaviour of building materials in fire, fire dynamics, and education of fire science. Remarkably, both papers were influenced (if not written) by the famous Charles Dickens. Each paper appeared in Dickens’ magazine Household Words. Although Charles Dickens is not remembered as a fire scientist, his fascination with the subject and the popularity of his magazine evidently had a significant influence on the public perception of fire science. In the Household Words publication of 1850, a paper titled: ‘The Fire Brigade of London’ appeared as a leading article . The paper begins with an elegantly written poem depicting the devastating effects of fire (Figure 1). It then provides a detailed description of the fire fighting efforts of the London Fire Brigade, of the technologies used for fire fighting, of the behaviour of different materials (including plasters, slates, lead and timber) in fire and of fire behaviour in general. Styled in a narrative that describes a building’s destruction by fire, the author introduces the reader to a man named James Braidwood. Anyone studying fire science’s history will be familiar with Braidwood. He is considered the father of the modern fire brigade and also wrote what could be considered the first textbook on the subject of fire science in 1830 . James Braidwood effectively created the London Fire Brigade during the Victorian era. As acknowledged in the paper, Braidwood worked with the authors of Household Words to put together the paper. The paper provides insights into the risks of fire, statistics of fire occurrences, and causes of fires during the Victorian period. Braidwood attributes the increase of fires during this time period to better record keeping and to the use and increase in ‘scientific combustibles’ (gas). 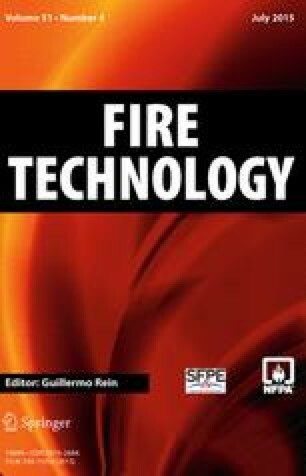 This article provides a fascinating insight into the knowledge of fire science and the technologies available for fire fighting in the Victorian era, making it a useful document for historians studying fire safety sciences of the mid 19th century. Shortly after publishing the above paper in Household Words, Dickens commissioned a second paper on fire science. He had heard of a contemporary scientist’s recent success in educating young students on fire and chemistry and he asked this scholar in a letter to forward him the raw notes that had used to create these lectures . The commissioned article, based on these notes, was titled ‘The Chemistry of a Candle’ , and the scientist in question was none other than Michael Faraday. Michael Faraday addressed the chemical history of candles in his 1848 Royal Institute’s Christmas lectures. In 1850, the content of Faraday’s lectures was introduced to the public in Household Words, eleven years before Faraday himself officially published the lecture notes . The Chemistry of a Candle is a fascinating story of how a young boy educates his uncle on the behaviour of a candle. The story revolves around the boy’s attendance to Faraday’s candle lecture. At the article’s conclusion, the uncle, impressed by the recount of Faraday’s lecture, remarks on the boy’s education in science and the need to encourage the youth to further pursue scientific studies. The playful exchange between nephew and uncle is essentially Michael Faraday’s lecture played out as a short story for the reader (complete with a pronunciation guide to the key terminology and description of the demonstrations Faraday performed to illustrate the principles during his lectures—though unfortunately advocating the playing with candles). Figure 2 contains some interesting excerpts from the story. For the historian, the paper shows a sound example of when society begins to become engaged in the study of fire chemistry. The above papers are not Dickens’ only remarks on fire science (see his speech on the parliament building fires of 1834 for example ). However, these particular papers attempted to communicate fire science to a broad spectrum of society to generate interest in the subject. With each paper appearing authorless in print the actual involvement of Dickens in writing is debatable, there is however no question that he influenced these papers (Dickens is given credit for writing The Fire Brigade of London in George Little’s Fireman’s Own Handbook , but Anne Lohril attributes the writing to Richard Horne for The Fire Brigade of London and to Percival Leigh for The Chemistry of a Candle ). And they are truly beautiful pieces of literature which I would encourage everyone with an interest in the history of fire science to read. The papers may be downloaded as open access .